The National Assembly, this 9 August, adopted the bill on the setting up of the National Observatory for the Prevention and Eradication of Genocide, War Crimes and Crimes against Humanity. “The observatory will clarify and identify all crimes committed in Burundi”, said Pascal Nyabenda, the Speaker of the National Assembly. He said so before the MPs adopted unanimously the bill on the setting up of the National Observatory for the Prevention and Eradication of Genocide, War crimes and crimes against Humanity this Wednesday 9 August. The observatory is mandated by the 2005 Constitution in its Article 274. 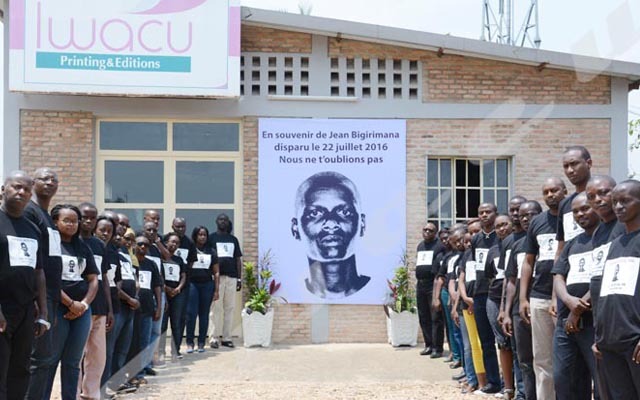 It is responsible for regularly monitoring the development of Burundian society from the perspectives of genocide, war crimes and other crimes against humanity. Its tasks will also be to prevent and eradicate acts of genocide, war crimes and other crimes against humanity, as well as suggest measures to effectively combat impunity. The observatory will also promote and enforce strict legislation against genocide, war crimes and other crimes against humanity, propose policies and measures to rehabilitate victims of genocide, war crimes and other crimes against humanity and contribute to the implementation of a comprehensive program of awareness-raising and education for peace, unity and national reconciliation. Pascal Barandagiye who was invited to present the bill in the National Assembly says genocide will never occur in Burundi thanks to the implementation of the National Observatory. “Prevention is better than cure”, he says. He also says the observatory will consist of 49 members recognized for their moral integrity and interest in the life of the nation and more particularly in the promotion and defense of social peace, human rights and justice. Fabien Baciryanino, an independent MP asked the Minister of the Interior if the observatory will prevent ongoing killings and enforced disappearances. “A Burundian can easily kill their spouse, father or brother. How wouldn’t they dare to commit genocide if they are angry? We know what an angry man is able to do” he says. For him, this observatory would focus on the sensitization and prevention of people against any acts that would lead to genocide in the country. Aloys Batungwanayo, Chairman of the coalition of associations of survivors of 1995 crimes, Amepci Gir’ubuntu said this observatory is necessary in the sense of preventing what happened in the past from ever happening again. “However, politicians should not be appointed to steer this body because some have other hidden interests, he said. He called for the involvement of many partners in the observatory for more credibility. Gilbert Bécaud Njangwa, Legal representative of ONELOP Burundi, a local NGO, said this observatory will allow justice to work effectively and prevent crimes. Gilbert Bécaud Njangwa demands that all the organs provided for in the Constitution, such as the High Court of Justice, should be set up.